When looking for professional results in the fastest and easiest way, the Janome 9200D overlocker sewing machine is the option to go for. The features of this overlocker are designed to offer users with the best possible user experience while still delivering the quality finish we desire in our clothes. What’s more, Janome 9200D is a tough little workhorse that sews fast and provides you with enough features to handle virtually any sewing project and fabric. The following review offers a detailed look at the value this overlocker adds to your world of sewing. 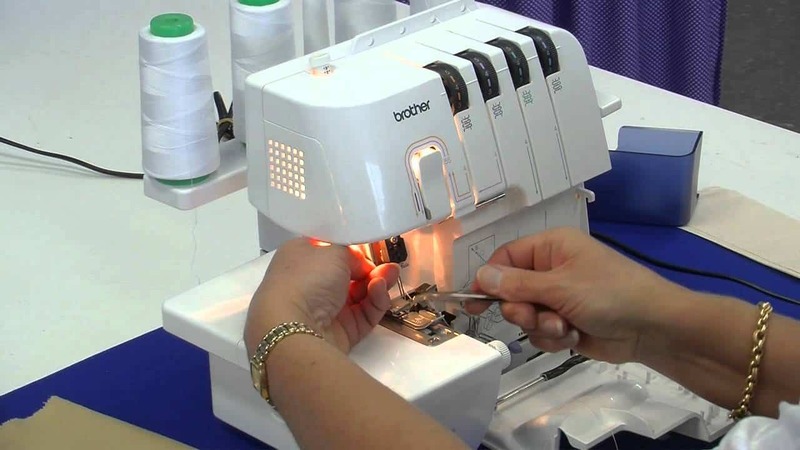 Many good overlockers are designed in such a way that makes threading a not too complicated task even for a beginner. And just like most Janome overlockers, the 9200D Janome Serger offers easy threading through the use of color-coded guides and an easy threading system. The color-coded paths act as your very own permanent cheating sheet for threading an overlocker. Therefore, you should not experience any trouble threading, re-threading, or changing threads on the machine. 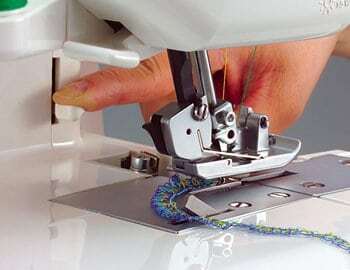 Another common feature that this model shares with other Janome overlockers is a differential feed (adjustable from .05 to 2.25) that prevents puckering and stretching. With this differential feed by your side, you’ll be able to enjoy consistent results on all the fabrics you work on. In addition, you can also create ruffled or “lettuce edges” when sewing fabric edges on a fast feed ratio. Since access to hem function is one of the main reasons why most people buy overlockers, it only makes sense to ensure the machine you buy delivers quality hems. The Janome 9200D not only produces some of the best looking hems, it also provides you with 3 useable options through its built-in rolled, wide, and narrow hem functions. These hem functions add onto the machine’s versatility and also ensure you achieve quality stitches on all your projects. For instance, you can use the rolled hem function to make quick quality hems on children’s clothes and the narrow hem function to give lightweight fabrics a neat finish. Whether you want to try out decorative stitches or simply finish raw edges, the Janome 9200D allows you to do so easily through its upper knife. This upper knife can be de-activated so that it does not cut into your projects as you sew. With the knife out of the way, you get to enjoy a hassle-free sewing experience. Need to make adjustments to suit your fabric? No worries as in addition to the differential feed, the Janome 9200D also has an adjustable cutting width of 2.0 to 5.7mm. This adjustment range provides enough room for the handling of most fabrics and comes in handy when applying creative overlock techniques. The Janome 9200D measures (H) 26 x (W) 28 x (D) 26 cm. The machine operates quietly which means it can be used at any time ranging from the early hours of the morning to the dead of night without disturbing those around you. Uses standard ball point needles which prevent runs or tears when you are working on knit fabrics. 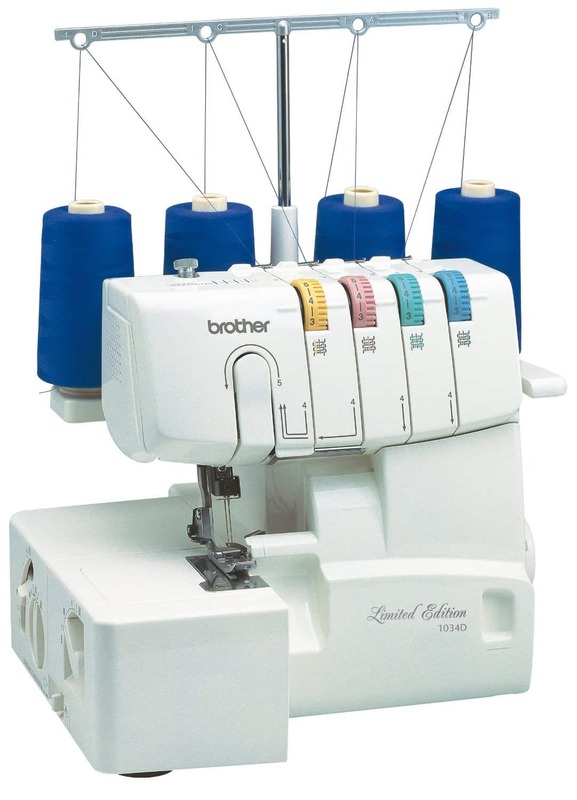 Offers 3 and 4-thread stitching capabilities. 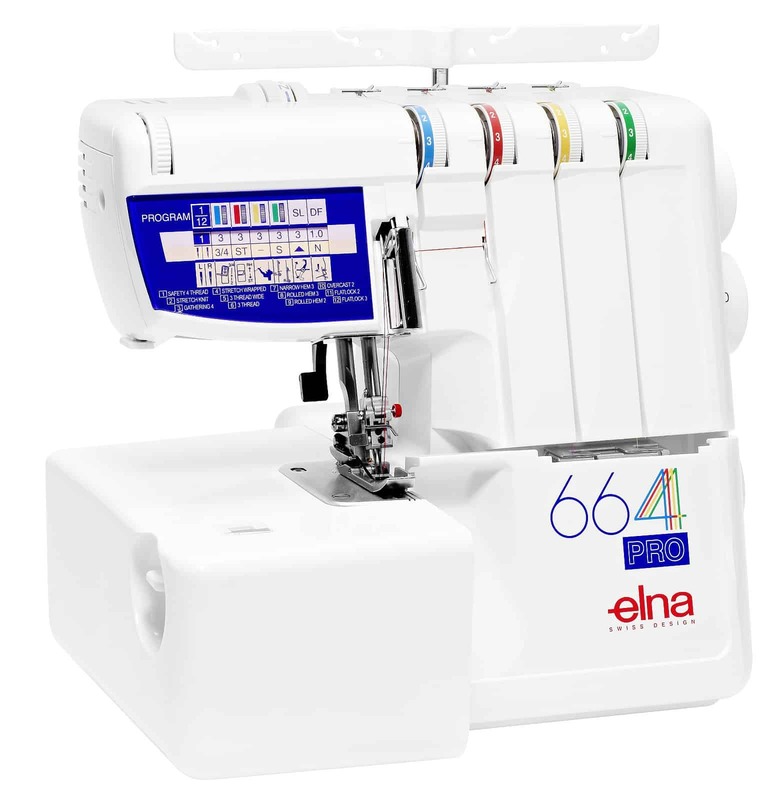 Features a compact design that does not take up much of your space and makes it easy to take the machine to your sewing classes. Provides safe operation through front and back needle guard. Uses an electronic foot control which helps to add on to the machine’s enjoyable experience. Delivers a high speed of 1300 stitches per minute. Allows easy tension adjustments through lay-in thread tension dials. Does not have a cover. The Janome 9200D Overlocker seems to be off on a good start as far as user reception is concerned. Many users seem to love the performance of the overlocker and claim that they haven’t found anything severely lacking in it. 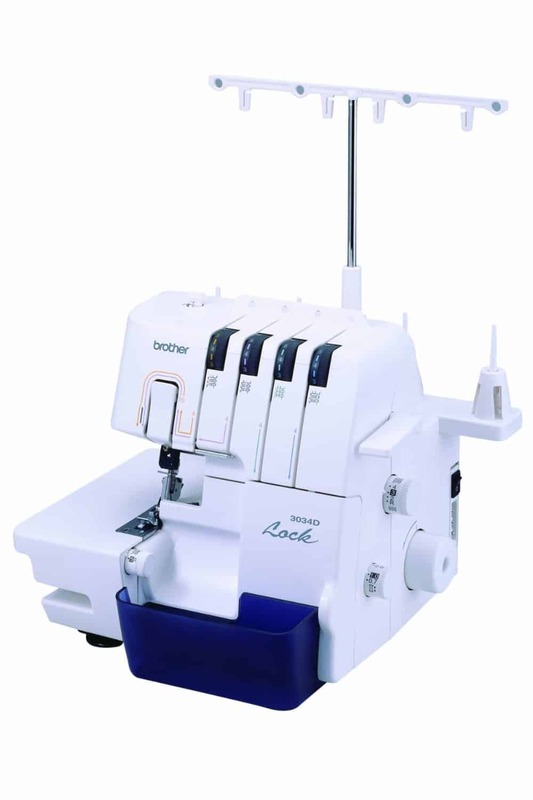 The Janome 9200D overlocker offers several great qualities. 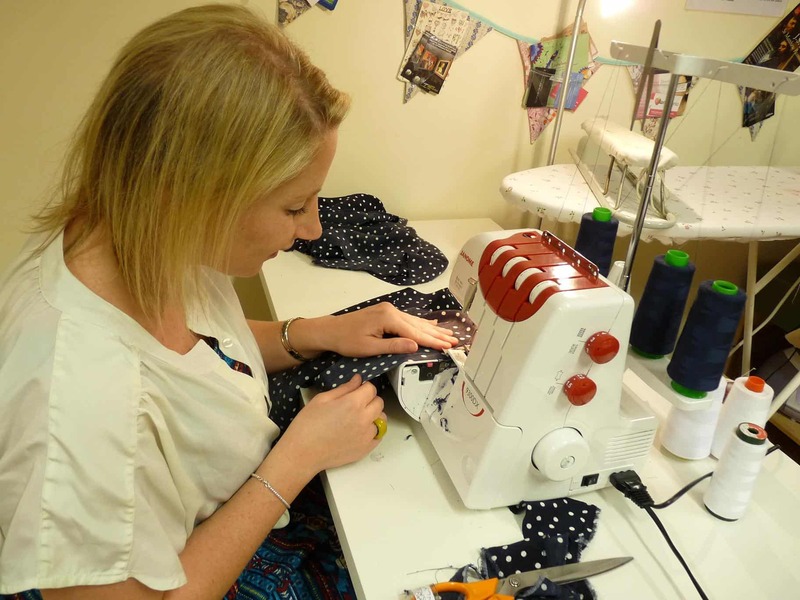 The features of the machine are not too daunting to the inexperienced sewer yet they still offer plenty of options for the more experienced sewing enthusiasts. 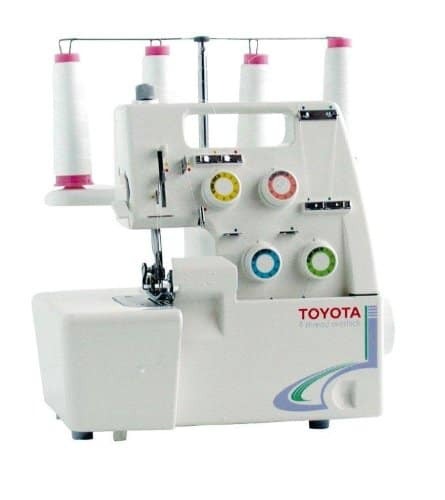 Additionally, the machine is durable, versatile, fast, and provides you with all the control you need to achieve the best results on all of your sewing projects. So, all in all, the Janome 9200D overlocker offers you good value for your money. I have only used this so far for neatening edges and it’s lovely to use. Threading it the first time was a bit of a nightmare. It comes ready threaded but my cats decided to play with the threads (a problem with it having no cover). I had to start from scratch. Not so much difficult as very fiddly. I now change threads without re-threading – easy enough. I really wish it came with a cover (even if this was offered as a separate ‘accessory’). It would make transportation to classes easier (than having to move it in cardboard box) and of course it would make it cat proof! !